A Horse, A Horse . . . The use of horses in warfare has long been known, bolstered by the romantic imagery of classic poetry and the magic that is Hollywood. The armour clad Knight on his armour clad charger has long been a familiar figure in myth and legend. Indeed, the Medieval Knight was a fearsome thing, a distant ancestor of the armoured tank of more recent times. But the truth is far older. There is, according to a Sumerian illustration dating back some 5,000 years, evidence of horses being used in warfare around 2,500 BC. By 1,600 BC chariot warfare was becoming common throughout the Ancient Near East. A written training manual for war horses, dating back to around 1,350 BC, confirms their continued involvement in conflict. Later, as the development of formal cavalry tactics replaced the chariot, so did new training methods. 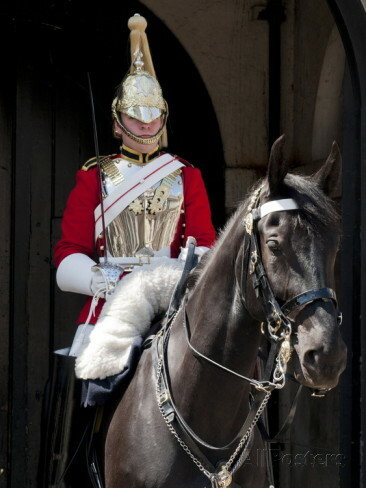 Around 360 BC a Greek cavalry officer called Xenophon wrote an extensive treatise on horsemanship. 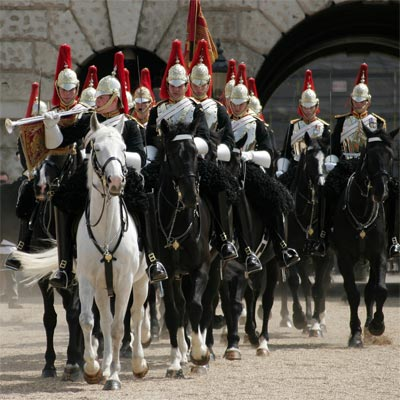 During the Middle Ages, there were three primary types of war horse, the Destrier, the Courser, and the Rouncey. Although all three differed in size and usage, the generic word charger came into use to describe the medieval war horse. 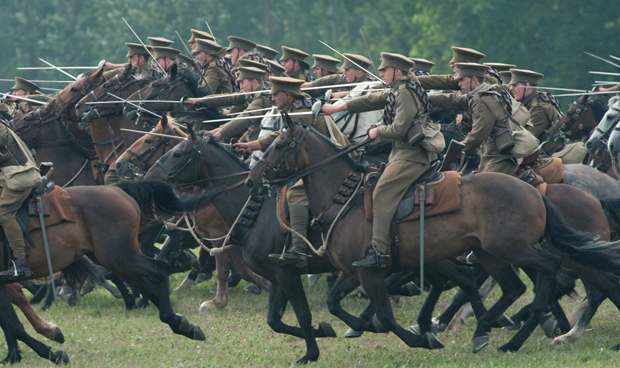 But it was World War I which saw great changes in the use of horses. A nation which had depended on domestic horsepower up until 1914 suddenly lost its horses to the front and had to find alternatives and by 1918, there was no going back. Early in the War, cavalry skirmishes were common with mounted troops widely used for reconnaissance while on the Western Front the cavalry were an effective flanking force during the “Race to the Sea” in 1914. But in Europe the advent of trench warfare, barbed wire and machine guns rendered traditional cavalry almost obsolete. 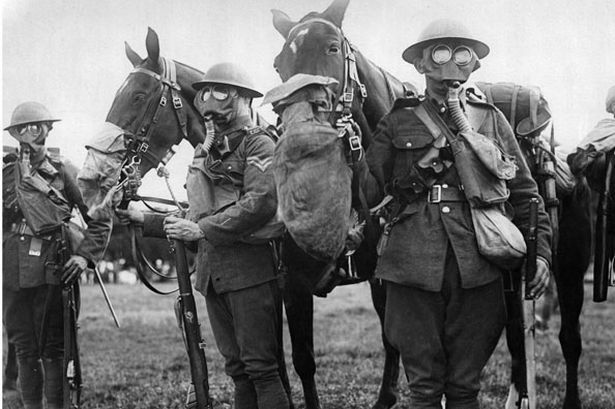 And the growing need for a defence against poisonous gas meant the development of a gas mask for the troops went also for the horses. 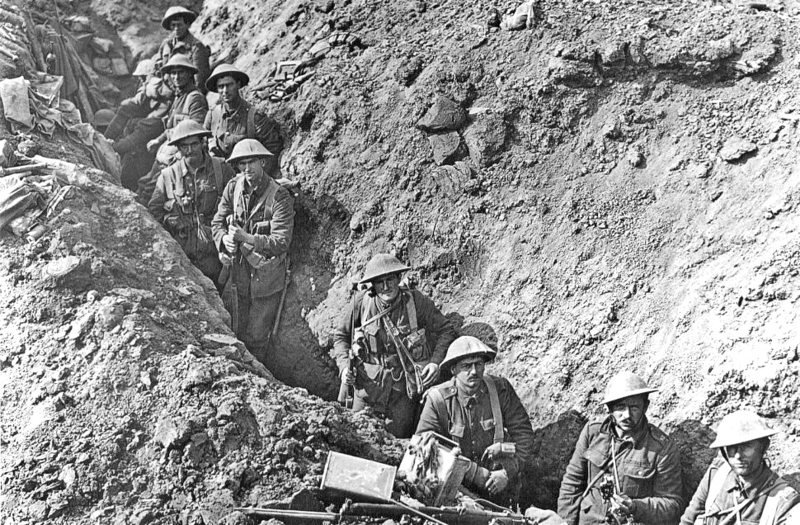 Even so, although some ten million men would be killed in the awesome carnage of World War I the casualty rate was, proportionately, considerably higher among the horses. 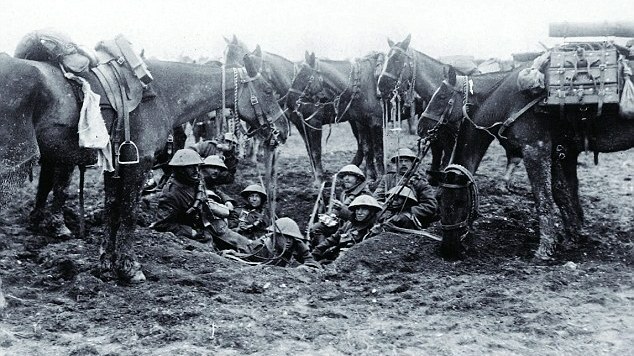 Of the one million horses which left Britain for the Western Front, only 60,000 returned. Although the horse continued to be was used as a pack animal to carry ammunition and supplies between the railheads and the rear trenches, a critical role, but this was the armoured tank during the latter part of the war meant that the horse became obsolete and following the war many cavalry regiments were converted to mechanised, armoured divisions with the further development of light tanks that took over many of the cavalry’s original roles. This entry was posted in Wartime and tagged 1st World War, charger, destrier, gas mask, The Horseguards, trenches. Bookmark the permalink.